If you've been searching for ways to teach about the Aztecs, you may have been searching for a while. 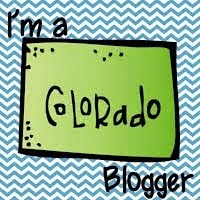 There's not a lot of resources out there, readily available, and free for your use. So that's why I have compiled 5 free resources to make teaching about the Aztecs fun. The Aztecs carved a huge sun stone in 1479. It was 3 feet thick and almost 12 feet across, and weighed 25 metric tons. Made from basalt, this large sun stone was one of the first sundials and it was dedicated to the sun god. Your students can make their own sundial with this first activity. Students use a paper plate, craft stick, Playdoh, markers, and pencils, to create and decorate a real working sundial. They can even lay it out in the sun and check it hourly to write the hour times upon it or mark it in some way fancy, like this one shown to the right. The Aztecs highly valued and worshiped the snake as a sacred symbol, as they believed it to be a symbol of one of their most treasured gods, Quetzalcoatl. A very prominent serpent once owned by the Aztecs and possibly given to Hernan Cortes just before the destruction of the Aztec Empire now resides in the British Museum and students can recreate this serpent with just some cardboard, tissue paper, scissors and glue. You can get the full directions here, but in a short lesson or two students will have a beautiful work of art to display in their school or at their home, showing the importance of the serpent to that of the Aztec people. 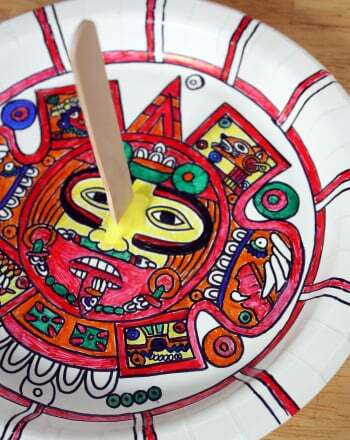 A third option for studying the Aztecs is to make pottery and artwork like the Aztecs did. This step by step site will show you two examples of how to make a pot or a sun similar to those made by the Aztecs. They have great examples and an Aztec pot for comparison. If you're looking for something a little less crafty and a bit more meaty, than I have just the lesson for you. This Origin Story Lesson covers the origin of the Aztecs and how they came to be in the south central valley of Mexico. 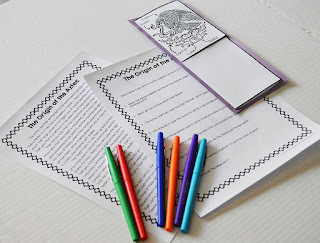 It includes an original article that your students can read to learn the background and history of the Aztec people. 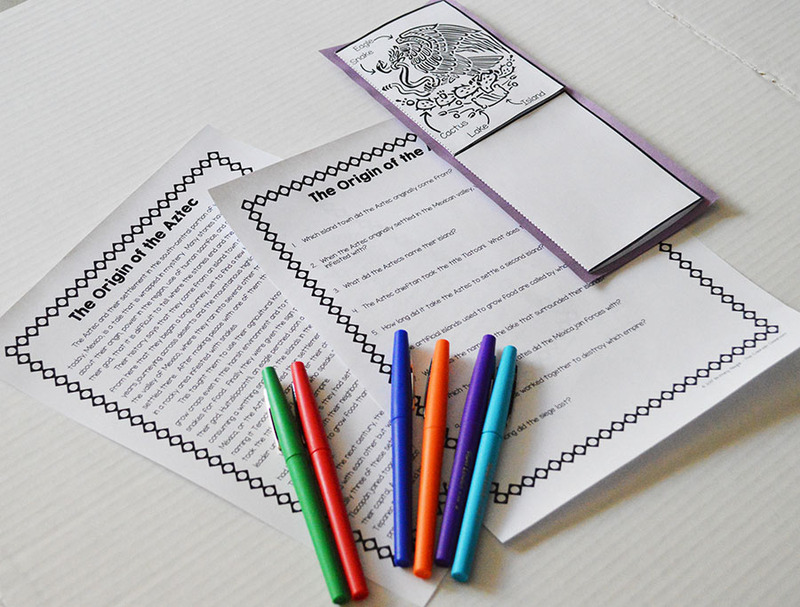 It then includes comprehension questions and a craftivity foldable that deals with the symbolism behind the Mexican seal. See, supposedly back in the 1300's, the Aztecs were told by one of their gods to look for an eagle perched on a cactus on an island in the middle of a lake, munching on a writhing snake. The Aztecs saw this sign one day and that is what led them to build their village on the island inside of Lake Texcoco. This symbol, of the eagle on a cactus eating a snake, has been preserved on the seal and flag of Mexico. Students are given a picture of this seal and asked to summarize the story of the Aztecs inside. They then have the opportunity to come up with their own symbolism for a home or business that they find near and dear to their hearts. It could be their own house, a grandparents, an aunt or uncles, siblings, cousins, etc. but they get to think about where it's located and what makes it unique and special to them. Finally, for a fifth free and fun idea to teach about the Aztec, learn how to make Aztec Hot Chocolate. Many people do not realize that the cocoa bean to make chocolate came from the Aztecs. The Aztecs showed it to Cortes and he quickly changed the Aztec recipe to one involving vanilla and sugar, before shipping it back across the ocean to Europe. In this fun recipe, you'll get back to the origin of the story and try your chocolate with a small kick of cayenne pepper, just as the Aztecs intended. 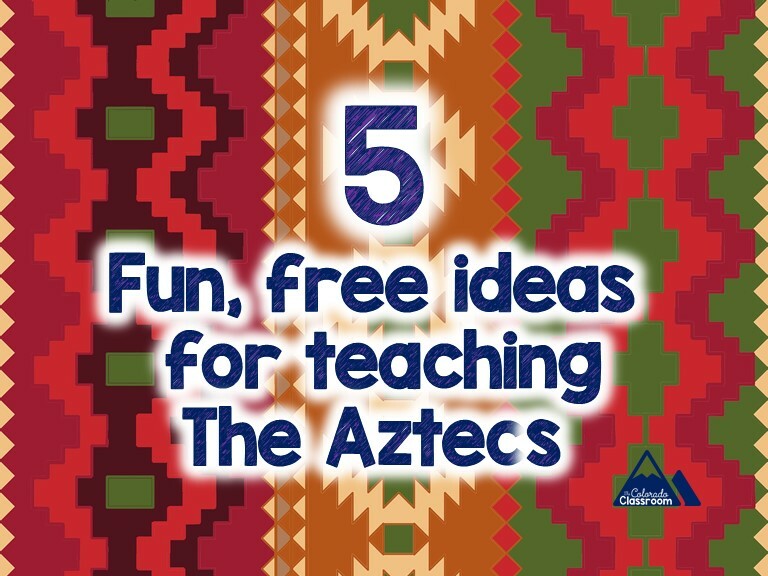 I hope you've enjoyed these five fun and free ideas to teach about the Aztecs. I hope they have provided you with your own ideas that you'll go on to share so that this area of history no longer has such a tiny area of reference and materials from which to draw from. But most of all I wish you and your students a great day of learning and a ton of fun.